• President Trump declared a national public health emergency to address the country’s frightening opioid crisis—but some felt his efforts fell short of the “national emergency” status which would deliver much hoped-for federal funding. The POTUS’s action provides expanded access to telemedicine services such as those involving remote prescribing of treatments used for substance abuse or mental health, and allows the Department of Health and Human Services to make temporary appointments to tackle the issue. • It’s been a rough few weeks for the Price family. Georgia State Representative Betty Price—an anesthesiologist and wife of former Health and Human Services Secretary Tom Price—inquired about using a “quarantine” to address the growing number of people living with HIV in Georgia. Her comments incited backlash that is not subsiding, despite her disavowal of the comments. • The President hosted the children of the White House Press Corps for a little trick or treating where he semi-praised the crowd, saying: "I cannot believe the media produced such beautiful children." 1600 Pennsylvania has since been reported as the house on the block giving out apples in lieu of candy. And finally, in a nod to POTUS’ ongoing love for the media, our team joined in the fun by going as “the Fake News” to the office Halloween party. We didn’t win the costume contest.. SAD!...though we’ve included a photo here for your enjoyment and our red-faced embarrassment. We found a few other scary stories this week, so read on for The Week That Was… if you dare! While Hurricane Maria’s destruction of Puerto Rico’s electric grid and infrastructure remain top concerns on the island, the impacts are starting to have far-reaching impacts for hospitals on the U.S. mainland. Ten percent of America’s pharmaceuticals are manufactured in Puerto Rico, meaning that drug and medical device makers are scrambling to avoid product shortages for the coming year. In Congressional testimony, FDA Commissioner Scott Gottleib said the Agency was monitoring production levels of about 30 drugs, nearly half are sole-source products, while we are already seeing scarcity of some common medical devices. The potential for drug shortages create understandable concern among hospital systems, first responders, and patients. As the issue gains more attention—particularly if some drugs do become unavailable—manufacturers must be prepared to answer questions about the stability of their supply and contingency plans to meet existing and future needs. Pharmacos and device manufacturers should also be issuing proactive communications on corporate platforms to provide additional reassurance. A wait-and-see approach will only heighten concerns and backlash among customers and consumers. The NAACP issued a National Travel Advisory for American Airlines last week, alerting African Americans about recent incidents with American employees that might impact their safety and well-being when flying with the airline. The nation’s oldest civil rights organization called for a meeting with airline leadership to “spur corrective action” and pledged to keep the advisory in place until concerns are addressed. NAACP cited a number of recent grievances in which it reported African American passengers had been mistreated or discriminated against. Within 24 hours, American Airlines Chairman and CEO Doug Parker sent a letter to employees, standing behind their work and providing perspective on the advisory. Parker also invited NAACP leadership to the airline’s headquarters to work together to address any issues moving forward. The advisory comes on the heels of the efforts of the NAACP Legal Defense and Educational Fund and Muslim Advocates to get the nation’s largest airlines to require anti-bias training for employees. Prioritizing relationships with key advocacy organizations and seeking their help and engagement is critical to a company’s success in fair weather or storms. Would American Airlines have been better served if they had met with the NAACP after a few of the reported incidents of mistreatment of African American passengers? Probably. While we may never know what happened behind American’s closed doors, we do know that scheduling regular touchpoints with all its constituencies can help a company proactively address any potential issues or areas of misalignment—before they become national news. When forced to address a situation reactively, timing and intention are key: take immediate steps by communicating to both employees and advocacy groups that you approach all concerns with the utmost sincerity and commitment to address issues in a manner that will hopefully support all. That may help navigate the direction for more amicable times ahead. 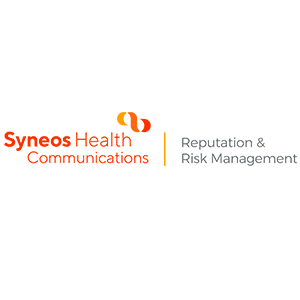 We are a team of healthcare communicators, policy-shapers and crisis response specialists. Drawing upon professional experiences from Congress, CMS, HHS, hospitals, and health technology—and our collective work in rare disease, oncology, diabetes, gene therapy, pain management and infectious disease—we provide unique solutions to the evolving messaging challenges in today’s healthcare industry. We support our clients with evidence-based approaches to preventing pricing pushback, protecting brands from modern activism, establishing and communicating clear policies surrounding expanded access to medicines, and a proactive approach to value frameworks. Our offerings also include product safety, litigation, regulatory risks, ex-U.S. considerations and policymaker investigations.